Sachin Tendulkar is a quite a car nut. He loves to drive and is finicky about his cars as well. He once said in an interview that he sometimes cleans his car himself and has an underground garage to keep his cars safe. He goes for long drives with his friends in his free time. 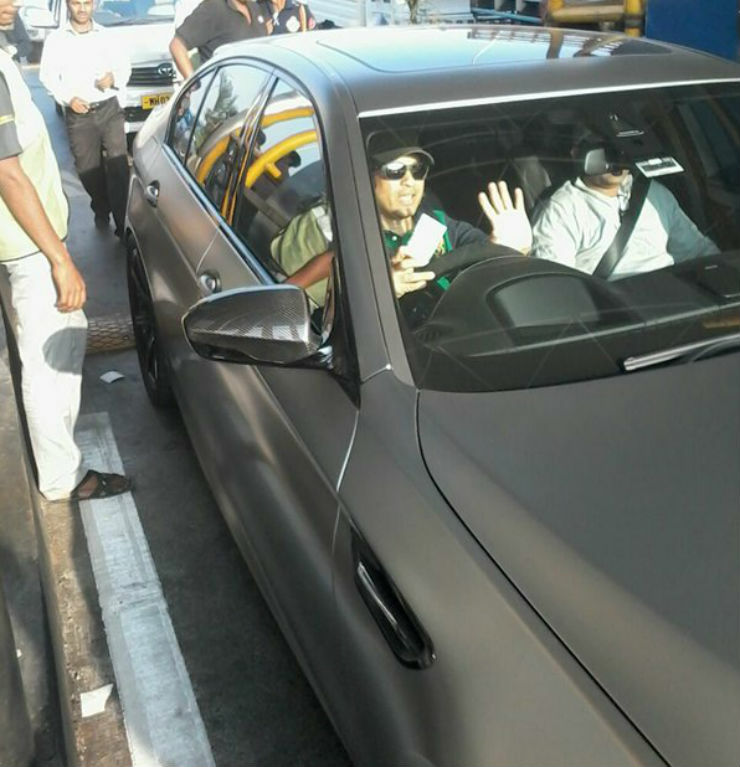 We know that he is BMW’s brand ambassador and he has quite a few fast and exotic BMWs. Let’s start with BMW’s most expensive model then, the i8. 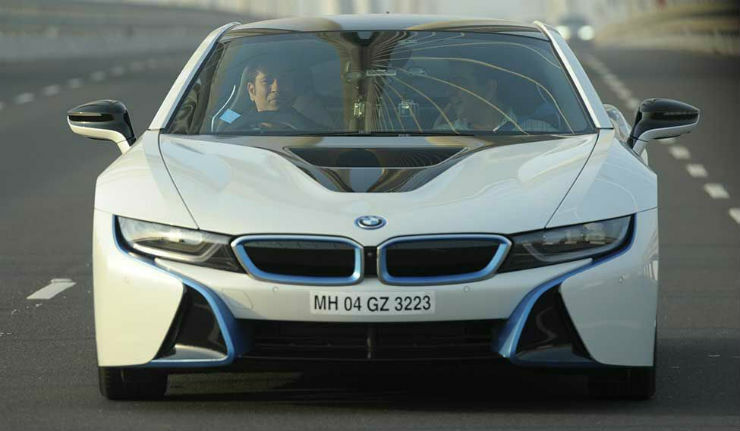 Sachin was bowled over the styling of the Vision Efficient Dynamic Concept when it was showcased and told BMW that he wanted it. When the production model came out finally, BMW gave a white one to Sachin. The i8 is built keeping the future in mind. It is powered by a tiny 1.5 liter 3 cylinder petrol engine that makes a massive 231 Bhp and 320 Nm. This is mated to an electric motor that makes 131 Bhp and 250 Nm. 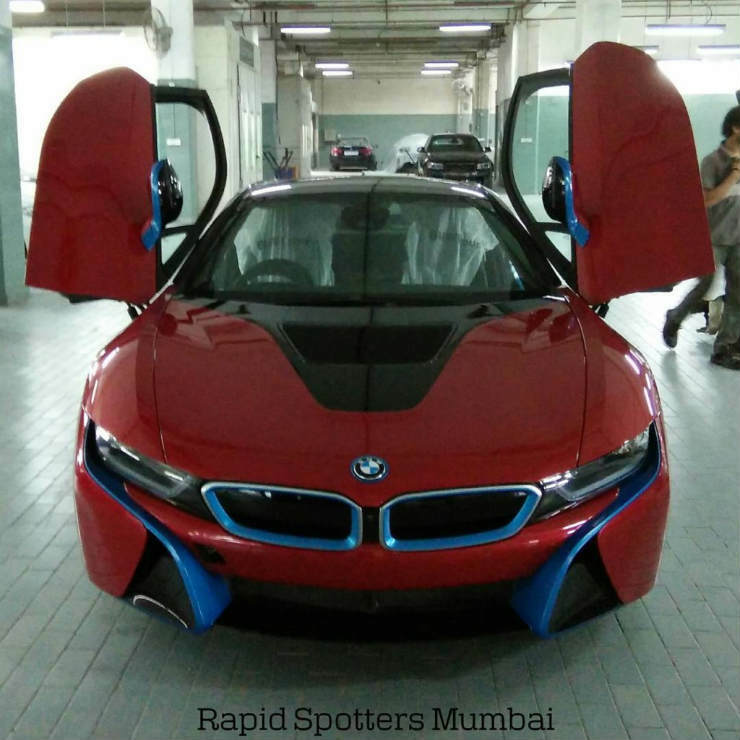 Combined, the engine makes 362 Bhp and 570 Nm which accelerates the i8 from 0-100 in 4.4 seconds. It has been built using a lot of carbon fibre, especially the tub of the chassis which helps to keep weight low and to improve structural rigidity. The main attraction of the car though is its looks. Since it looks a lot like the concept, it looks very futuristic, something that most production cars don’t look like. Sachin has recently gotten his car painted in the fabulous red shade as well which makes for another first in the country. When Sachin is in the mood to relax, the 7 Series is what he takes. This one is no ordinary 7 Series though. It happens to be India’s first 760 Li. It has been custom built for him and it features his logos as well. The car is powered by a massive 6.0 liter V12 engine that makes 544 Bhp and 750 Nm. One key feature which is unique to the 760 Li is the 4 wheel steer. When at lower speeds, the front and rear wheels turn in the opposite direction so as to reduce the turning radius of the car and at higher speeds, they turn in the same direction so as to help handling. 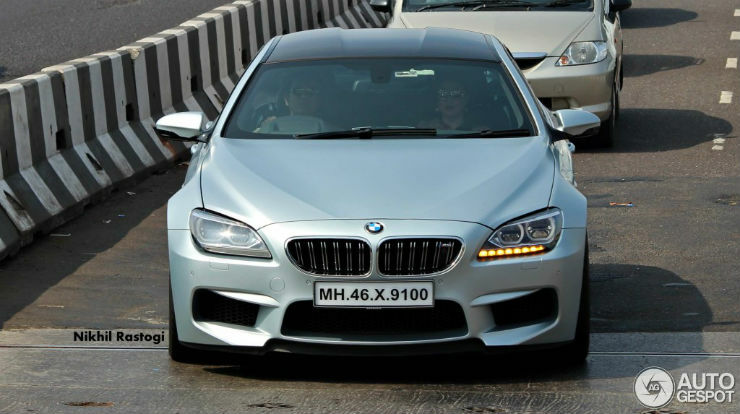 This is not Sachin’s first M5, however it will be surely be the most special one he has ever had. BMW recently celebrated the 30 year anniversary of the M5. To celebrate that, BMW unveiled a limited edition M5 known as the M5 30 Jahre (year in German). India only got one such car, and Sachin is the proud owner of it. It is powered by the same 4.4 liter twin tubro charged V8 making 600 Hp, 40 more than the standard car. It is capable of doing the 0-100 dash in 3.9 seconds. The car comes in a custom Frozen Dark Silver paint shade. Frozen in BMW terms means Matte. The colour really looks nice and there are various design changes like the 20″ rims and the 30 Jahre badging all over the car. 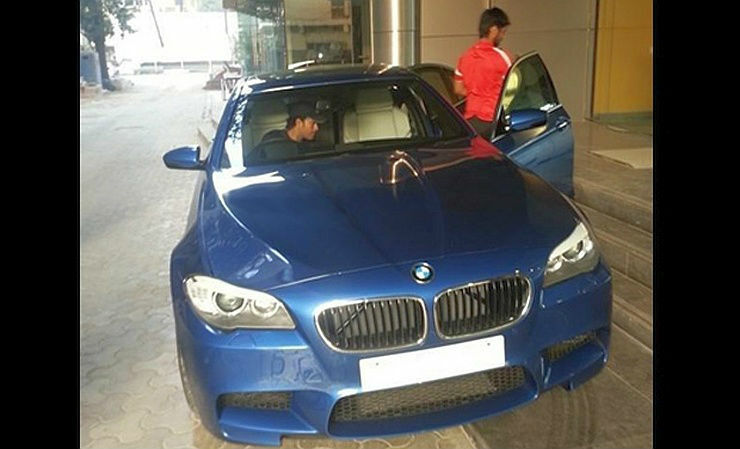 Sachin got the M6 Gran Coupe even before the vehicle was launched in the country. He opted for a really cool colour as well, Matte silver. The M6 Gran coupe is larger version of the 6 Series Coupe. The Gran Coupe design has been very well executed and it doesn’t look like the two extra doors have been added from the coupe. The M6 Gran Coupe gets the same 4.4 liter V8 twin turbo engine that does duty on the M5 and it makes the same 560 Bhp and 680 Nm. The engine is mated to an 8 speed gearbox which has various modes depending upon the urgency with which you want the shifts to occur. The only X5 50d in India, which was specially imported was for Sachin. When he signed a deal with BMW to be their brand ambassador, he owned a 4.2 liter Audi Q7 diesel which he had to let go of. Since BMW didn’t have a powerful diesel replacement in the market at that time, they specially imported a M50d for him. Powering it is the same 3.0 liter straight 6 engine which is on the normal X5. But the main difference is the fact that is has 3 turbos. Yes, you read it right, 3 turbos. This produces a massive 370 Bhp and 740 Nm. 0-100 comes up in a brisk 5.4 seconds. Sachin’s vehicle was also in a fabulous blue shade. Like we mentioned above, Sachin previously owned a M5 as well which was replaced by the new 30 Jahre one. This one is in the first generation F10 M5 in their official colour, Monte Carlo blue. Powering the M5 is the 4.4 liter V8 engine that makes 560 Bhp and 680 Nm. It also featues M heads-up display and settings that control all the dynamic aspects of the car.